After the cinematic embroidery of Matka Joanna, where else was the Tomasz Stanko Quartet to go but farther inward? 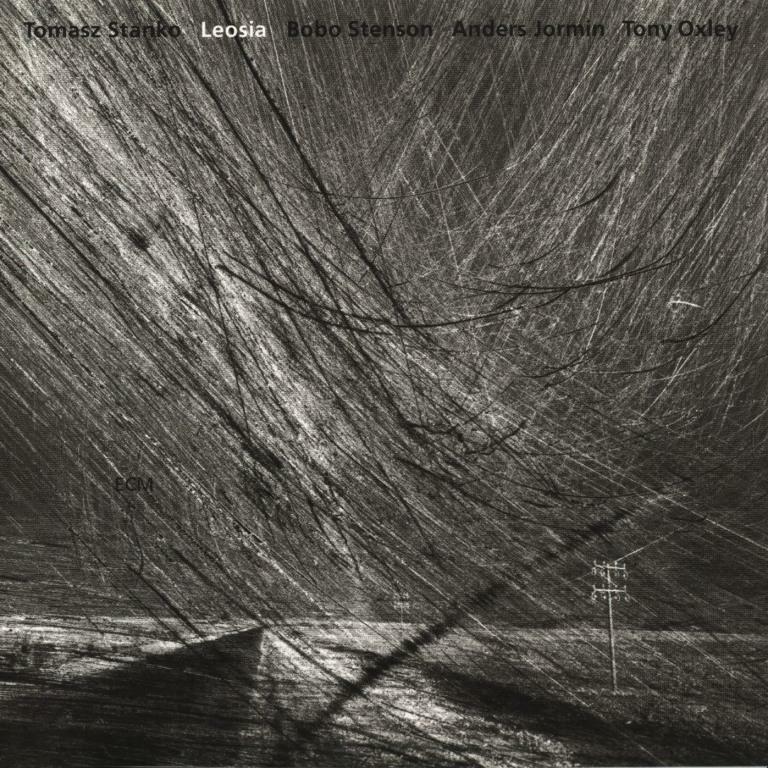 Building not so much on as under its shadowy predecessor, Leosia plants the Polish trumpeter in even darker soil with cohorts Bobo Stenson, Anders Jormin, and Tony Oxley. While everyone involved had by this point lit his fair share of lanterns, for this session the quartet trimmed those wicks to the barest of flames with no loss of intensity. The grace of “Morning Heavy Song” expresses all that follows in one slow sweep of the compass. Stanko embodies the spirit of its charcoal canvas, which comes to us naked and trembling. Yet we see that spirit by the light of something promising, a resolution that sparkles with the rhythm section’s deeply psychological entrance. It may be a story of harder things, but it grows new legs through the telling. Oxley is superb, here and beyond, marking trails with splashes of breadcrumbs in “Die Weisheit von Le comte Lautréamont” and bringing especial definition to “Trinity.” The latter is also a vivid example of Stanko’s singing qualities, qualities that melt his brass down in such crucibles as “A Farewell To Maria” and “Hungry Howl” to the shape of a creased page. In both we smell remorse on the wind, not least through Jormin’s humming presence. We wake to a new dawn in “Brace,” a freer chain that sets us on a “Forlorn Walk.” This is where the session decides to swing, in its twisted way, Stanko reaping some engaging highs against the delicate attunement of his band mates. Of Stenson’s skeletal wonders we hear plenty in “No Bass Trio” and “Euforila,” one rest to the other’s play. For the title track, all of these shards coalesce into a single mosaic, taking on the colors of whatever light passes through it, be it clear or swirling with ink. That light is undoubtedly Stanko, who shines to the end with a quiet and unpretentious conviction. His lyricism is diurnal, our guide along a horizon of melancholy that leaves us intact and well nourished.